The IPPFoRB network is committed to supporting the formation of national and regional groupings of parliamentarians committed to combatting religious persecution and advancing freedom of religion or belief. We believe that only by working together across political, religious and geographical divides will we be able to reverse the declining levels of religious freedom. IPPFoRB Brazil was launched on March 17, 2015 at the Brazilian National Congress, under the leadership of Federal Deputy Leonardo Quintão. The group has held meetings with religious leaders, faith-based educational entities and missionary agencies, as well as meetings with the President of Brazil and State Ministries to ensure that the religious freedom agenda is a priority in Brazilian Public Policies and International Relations. For more information on IPPFoRB Brazil please contact Uziel Santana or Felipe Augusto. Formed in early 2017, CANFoRB is a non-partisan parliamentary group focused on the protection of the universal right to freedom of belief. CANFoRB is Chaired by a member of the Governing Party as well as a member of the Official Opposition. The group serves as a landing ground for international and domestic freedom of belief activists, as well as a springboard for parliamentary FoRB initiatives. CANFoRB is seeking to grow its membership and contacts, while supporting international and domestic freedom of belief initiatives. For more information on CANFoRB, please contact the office of Co-Chair Kelly Block. The Danish Network of Parliamentarians for Freedom of Religion or Belief, established in 2015, chaired by Daniel Toft Jakobsen, MP with the primary objective of strengthening freedom of religion or belief in Danish foreign and development policies. The network brings together parliamentarians across the political spectrum along with scientists, researchers and civil society organisations in a common informed dialogue on how freedom of religion or belief can be strengthen and how similar efforts are tackled in other national and international forums. For more information please contact Coordinator, Filip Buff Pedersen. Under the coordination of the deputy Graciela Fermin and the deputy Wandy Batista, IPPFoRB Dominican Republic was launched on October 31, 2018. Through the coordination of Deputy Walter Banegas, IPPFoRB Honduras was established on September 20, 2016. The Honduras Group has had several meetings at National Embassies to present Advocacy Letters on FoRB, such as Iran, Bolivia and Nigeria. The Honduras group is supported by the Latin American regional group. IPPFoRB Nepal was set up in 2015 following the introduction of a new constitution for Nepal which included several provisions that appeared to impact negatively on freedom of religion or belief in the country. Staffed by a volunteer secretariat, IPPFoRB Nepal Chapter works with federal and provincial parliamentarians to raise awareness of the challenges facing religious freedom in Nepal and the measures needed to ensure that this basic right is enjoyed by all equally without discrimination or favour. It works hard to maintain a safe space for parliamentarians to meet with relevant civil society organisations and religious leaders. For more information on IPPFoRB Nepal Chapter, please contact the Secretary, BP Khanal. Established in 2015, the Norwegian Parliamentary Group for Freedom of Religion was founded by Abid Raja, MP and Steering Group member of the IPPFoRB. The group was re-launched in May 2018 following the elections in Norway and has representatives from all political parties. Open to all parliamentary representatives in Norway, the group’s goal is to promote freedom of religion or belief in Norway and abroad. With support from Stefanusalliansen, an Oslo based Christian mission and human rights organisation, the Norwegian group believes it is part of a major international movement that promotes and supports the promotion of freedom of religion or belief in various countries. Launched on May 21, 2015, a few months after the IPPFoRB network was established in Oslo, Norway, the Pakistani Parliamentarians for Freedom of Religion and Interfaith Harmony is the first ever national group that furthers the agenda of FoRB in the region of Pakistan. Consisting of like-minded Member of Parliamentarians in the National Assembly of Pakistan, the group was founded with the help of Asiya Nasir, one of the founding members of IPPFoRB and then Pakistani MNA (Member of National Assembly) and other MNA’s such as Dr. Darshan Punshi and Mrs. Shahida Akhtar Ali. With the aim of establishing a group that strengthened different voices for FoRB in the country, the Pakistani national group has focused on a number of issues relating to religious minorities and their persecution in the region. Engaged in a number of activities, the Pakistani group committed itself to work towards interfaith dialogue in the region that encourages, advances and promotes respect, cooperation and harmony amongst different religious communities in Pakistan. Founded in 2008, Pancasila Caucus is a group of sitting Indonesian parliamentarians committed to reviving and conserving the noble values of Pancasila. Established as a response to an attack on a religious minority group by intolerant groups, it aims to, with Pancasila as a guide, fight various threats to the diversity of religions or beliefs, as well as all efforts that threaten the integrity of the nation. Cross factional in its approach, the Caucus embraces parliamentarians from various party backgrounds. The Caucus often receives visits from both international delegations (Myanmar, Egypt and Australia among others), as well as various Indonesian organisations to study the group and its contribution to FoRB in the country. In May 2018, the Caucus along with the People’s Assembly (MPR), Pancasila Ideology Development Agency (BPIP) and Cahaya Guru (a CSO) organised a cross-religion festival of Pancasila whose objectives included promotion of tolerance and social cohesion among high school students. For more information on the Pancasila Caucus please contact the administrator.  The APPG for International Freedom of Religion or Belief (FoRB) supports its 118 UK cross-party parliamentarian members to champion the Right to FoRB, as outlined in Article 18 of the UDHR and ICCPR, among their fellow parliamentarians, policy-makers, the media and the general public. It pursues effective implementation of policy recommendations in the UK and internationally relating to this right, including through the Foreign and Commonwealth Office’s Special Envoy for FoRB and other Government departments. Established in 2012, the APPG benefits from the expertise of its 25 faith or belief-based stakeholder organisations from across the belief spectrum. The APPG’s work includes holding public and private events, debates, and inquiries and producing briefing papers, reports, parliamentary questions and submissions to Parliament’s Committees on country and thematic FoRB-related issues. For more information, see the APPG’s website or contact the APPG’s Operations Director, Katharine. The African Parliamentarians Association for Human Rights (AfriPAHR) is a network of approximately 80 African Parliamentarians, who seek to promote democracy and human rights in Africa. Working together with the International Panel of Parliamentarians for Freedom of Religion or Belief (IPPFoRB), it seeks to promote the right to freedom of religion or belief in Africa. The majority of AfriPAHR Parliamentarians are between the age of 30-45 and come from six of Africa’s eight regions. To get in touch with AfriPAHR, please email. The European Parliament Intergroup on Freedom of Religion or Belief and Religious Tolerance (Intergroup on FoRB & RT) was established in January 2015 and consists of a group of like-minded MEPs dedicated to promote and protect FoRB in the EU’s external actions. The Intergroup aims to ensure that the EU, in its external actions, promotes and protects the right of individuals to freely manifest their beliefs (theistic, non-theistic and atheistic). It does not consider the merits of the different religions or beliefs, or the lack thereof, but ensures that the right to believe or not to believe is upheld. The Intergroup is impartial and is not aligned with any specific religion or belief. The Intergroup helps to mould ideas for new EU policies and legislation on FoRB, and it collaborates with civil society to bring urgent FoRB issues to the attention of key EU policymakers. Its activities include publishing an annual report on the situation of FoRB worldwide. The Latin America group held its first meeting in Lima, Peru, on December 2 and 3, 2015, becoming the first regional group consolidated. Currently, the IPPFoRB Latin America gathers 33 parliamentarians and legislators, from diverse geographical, religious and political backgrounds, with 16 countries from the hemisphere represented - Argentina, Brazil, Bolivia, Chile, Colombia, Costa Rica, Ecuador, El Salvador, Honduras, Mexico, Panama, Paraguay, Peru, Dominican Republic, Venezuela and Uruguay. The IPPFoRB Latin America promotes several actions in order to fulfil the objectives established in the Oslo Charter, for example: Annual one-week training course in Oxford – the IPPFoRB Academy (2017 and 2018); an Inter-Parliamentarian Consultation on Freedom of Religion and Belief in Latin America (2017, forthcoming November 2018); Advocacy Letters on FoRB (Iran, Venezuela, Bolivia, Saudi Arabia and Nigeria). The Southeast Asian Parliamentary Working Group on Freedom of Religion or Belief (FoRB) is a regional grouping of Southeast Asian former and current members of parliament (MPs) who are committed to the promotion and protection of FoRB, as defined by article 18 of the Universal Declaration of Human Rights and the International Covenant on Civil and Political Rights. The Working Group provides leadership and guidance to promote legislation, policies and best practice to advance FoRB across the region. To date, the working group consists of 12 former and current MPs from Indonesia, Malaysia, Myanmar, Philippines and Thailand. The group is still expanding its membership and will eventually include some 22 MPs from the region. The Working Group seeks to build the capacity of MPs and their role in advancing religious freedoms in the region. It also seeks to provide platforms to engage relevant stakeholders in advocating FoRB, nationally or regionally. This includes taking part in and organising fact-finding missions, advocacy initiatives, capacity building, policy dialogues, workshops and toolkits development. The Working Group is committed to working together with a broad range of stakeholders, from governments, parliaments and state institutions, as well as International institutions, to local CSOs, iNGOS, religious groups, and victims of religious-based discrimination and prosecutions. A Southeast Asian FoRB network has also been established to consolidate regional efforts to advance FoRB protection in the region. The network comprises of MPs and other stakeholders dealing with FoRB issues from across the region. For more information and to join the working group or network, please contact Desi Hanara.